No matter where you are on your financial journey, we'll help you achieve your dream future. Click on the stage you feel that you're at for more information. Getting overwhelmed by personal finances? Know you need to set financial goals? Don’t really have a budget? Dream of buying your first home? Need help finding financial direction? Struggling to grow your savings? Wanting to buy your first home? Needing to sort out your super? Want to maximise tax savings? Thinking about starting a family? Wanting to take care of your family? Need to manage debt better? Wanting to maximise your super? Want to get serious about your future? Seeking the next step to financial security? Need an expert to show you the right way? Want a balanced retirement lifestyle? Worried about the money you’ll need? Feel like you’ve left planning too late? Feel your retirement money won’t last? Need to make your money stress-free? Want to maximise your tax savings? Wish to pay little or no tax in retirement? Some of the challenges and life events that you are likely to be facing at this particular stage in your financial journey. You know you need to save more but somehow always end up spending more than you want to. You might currently be struggling to build emergency savings and want to break the cycle. You don’t understand personal finance and thinking about it kind of gives you a headache. You need someone to show you how to make the most of your money but have no idea where to find them. You have big dreams when it comes to your financial future but have no clue how to make them happen. Maybe you’re dreaming of financial security or need to find a path to a better financial future. You want to improve your financial situation but don’t know where to start. Maybe you need help setting and sticking to achievable financial goals. Together we will build you a tailored financial plan. This financial plan can include some or all of the following strategies. 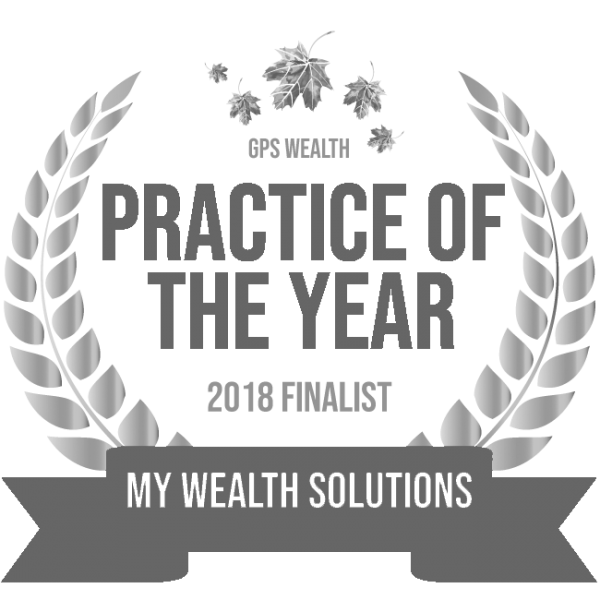 My Wealth Portal is an all-in-one personal wealth solution that helps you stay on top of every aspect of your financial world – all from the comfort of your smartphone. How it works is simple: you securely connect all of your financial accounts to the My Wealth Portal app, giving you a clear overview of your entire financial world at the touch of a button. Managing your financial world and growing your wealth is easy with My Wealth Portal. We will help you crystalise your goals and develop a clear and achievable path to reach these goals. With our help, you will be able to get control over your cash flow and savings through smart banking. Our financial advisors will work with you or your existing accountants to understand your tax obligations and maximise your deductions. Finding and consolidating any super accounts you may have and ensuring you’re in the right fund to meet your goals. With our entire team of professionals only a phone call away, you'll never have to make a financial decision without expert guidance again. Effectively managing your debt to minimise bad debt and maximise good debt. We will work with you to ensure that the foundations of your estate are taken care of and your wealth is protected. Setting up the appropriate levels of protection to ensure you and your family’s financial future is taken care of, no matter what. Feel like you're in the Starting Out stage? Even if you're not, we can help. Let us know who you are and an advisor will be in touch to help you take the next step on your financial journey. You promise yourself you’re going to start paying off your credit card debt or saving for that dream holiday. But you always seem to run out of money just short of having enough to build up your emergency fund. You want to become a homeowner but you have no idea how you’re going to get there. You might even be feeling a bit aimless after reading uninspiring housing affordability reports. You might know what superannuation is but you’re not sure how you can maximise your growth. Maybe you have multiple super accounts but don’t understand exactly how this impacts on your financial goals. You want to move in together as a couple but aren’t sure exactly how combining incomes will affect your financial goals. You might even be looking at buying a home together or planning for a family and want to know how that might impact your finance. Tax time can be confusing, especially if you have no idea where to start. You’re not sure whether you’re taking full advantage of the tax deductions and strategies available to you. Developing clearly defined next steps to build upon your wealth as you progress on your journey. Creating and managing a surplus in cash flow to ensure your wealth continues to grow. We will guide you through your tax obligations in order to help you understand your possible deductions and savings. Ensuring your superannuation fund is suited to your unique financial situation and needs while helping you to meet your goals. Reviewing your estate plan to ensure it stays up-to-date with changes in your life. Feel like you're at the Foundation to Wealth stage? You’ve done the hard yards and are ready to start investing. But you’re not sure which investment option, like property or shares, is right for your goals. You’re struggling to pay off your debt and want to know a way to turn your bad debt into good debt that will help you grow your wealth. You’re not convinced that your loans are structured in a way that supports your financial goals. You’re set on buying an investment property but you’re still not sure whether it's the right choice for you. You want to know more about negative gearing and the tax implications of being an investment property owner. You have a budget that you try your best to stick to, but somehow you always end up spending more than you’d like. Maybe you’re not completely across where your money is going or just want to cut back where you can. You worry what will happen to your family in the future if something were to happen to you or your income. You’re looking for the peace-of-mind that comes from knowing that your family will be able to live the life you want them to. Developing a clear plan to grow your wealth through investments, such as purchasing an investment property or entering the share market. Create, maintain and leverage your surplus in cash flow with offset accounts and smart banking. Ensuring you’re claiming all deductions available to you and deciding whether to utilise superannuation deductions and/or negative gearing. Potentially salary sacrificing into superannuation along with other voluntary contributions to further grow your fund. Exploring debt recycling and/or negative gearing to maximise good debt whilst minimising bad debt. Ongoing reviews to ensure your estate plan is up-to-date with changes in your life. Reviewing and increasing your and your family’s level of protection, if needed, to reflect your increase in wealth. Feel like you're at the Pathway to Wealth stage? You’ve been thinking more and more about what retirement looks like for you, but you have no idea how to get from where you are to where you want to be. Do you have enough to live the life you want to after you’ve left work? You know you want to retire but you’re not sure exactly what that entails. You need help making sure you have everything in place to achieve your dream retirement. You feel like you could be doing more to grow your savings but you’re not sure where to start. Maybe you’d like to structure your plan in a way that grows your wealth but still allows you to access your nest egg if you need to. You find yourself worrying that you haven’t done enough to make a comfortable retirement a reality. You wish you had help with going over all your options and figuring out the best path forward for your unique circumstances. Your children are finishing schooling and/or might be planning on moving out. You find yourself with an extra amount of income but aren’t completely sure on the right way to use this money to achieve your financial goals. We’ll help you make the most of superannuation strategies as well as leveraging property and share investments. Maximising your super contributions, and considering whether to set-up an SMSF, whilst factoring in a realistic transition to retirement pension. Potentially prepaying any interest while maximising the advantage of super deductions and other strategies. With us by your side, you’ll always have access to a team of wealth management professionals dedicated to helping you achieve your goals. Feel like you're at the Countdown to Retirement stage? You may struggle to balance enjoying your lifestyle with your income in retirement. Maybe you want to go on holidays more often but aren’t sure exactly how this will affect your financial future. You want to worry less about whether your money is being managed correctly or whether it will last and start enjoying your retirement more. You wish there was a way someone else could help you make it easier. Your family is the most important thing in your life, so you want to make sure that they’ll be taken care of if something happened to you. But is your current estate plan thorough enough to ensure your family will be provided for? You want to know how to maximise your tax savings, so you can spend less time worrying about money and more time enjoying your retirement. You need someone who can help you figure out which tax strategy is right for you and your financial goals. Our team will ensure you have an achievable direction for your wealth and a realistic path to help you get there. We take care of managing any potential SMSF obligations you may have and ensuring your pension remains tax-free. Providing assistance in setting up and guiding you through your tax-free world as you embrace retirement to the fullest. Our team will always be available to answer any of your questions and to regularly review your portfolio to make sure your retirement remains stress-free. Continually reviewing your estate plan to ensure it reflects your current circumstances, as well as considering setting up testamentary trusts as required. We will help you eliminate all debt so that you can live your dream retirement without having to worry about your money. Reducing or eliminating your personal protection strategies as your needs change. Feel like you're at the Retire in Style stage? My experience with Guy Freeman has been totally professional and totally satisfactory. Guy has managed my small investments but maintained at the same time a personal interest in my health and well being… I have to say that I have complete trust in Guy and am so pleased he is looking after my investments giving me a secure future. We have been seeing Guy at MWS for a few years now, and his advice has been invaluable. We are a young family trying to make the best of what we have, and Guy really puts it all into perspective, so it isn’t overwhelming. Whenever we meet with him, I always walk away feeling so motivated that we are making good choices for the future…We’ll be long-term clients and I wouldn’t hesitate recommending him to others.